I also do requests. If you want something specific, or want my designs but with different color combinations, that can be arranged. Just send me a message explaining what you want, and we will go from there. Keep in mind, if I am painting nails from scratch, they do required at least 24 hours to dry before they are packaged. As for the jewelery, same thing. They take at least 24 hours to dry, then I can assemble them. Be patient when ordering, because painting nails does take time. 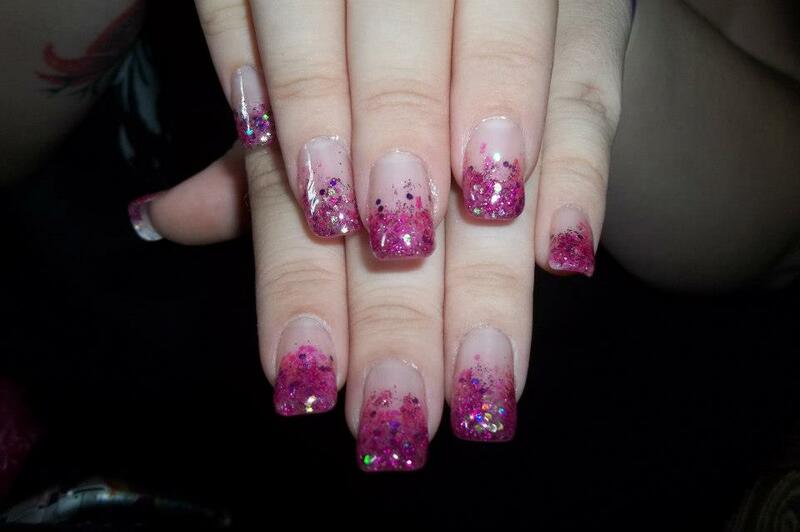 When ordering, please specify when you need the nails done by. This way can do the nails that are needed sooner, first. 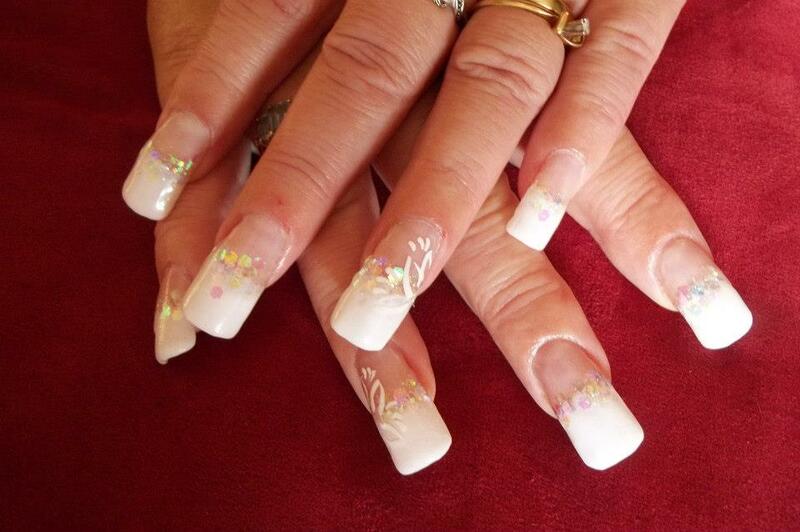 I've created this website to share the beauty of nail art on acrylic nails. 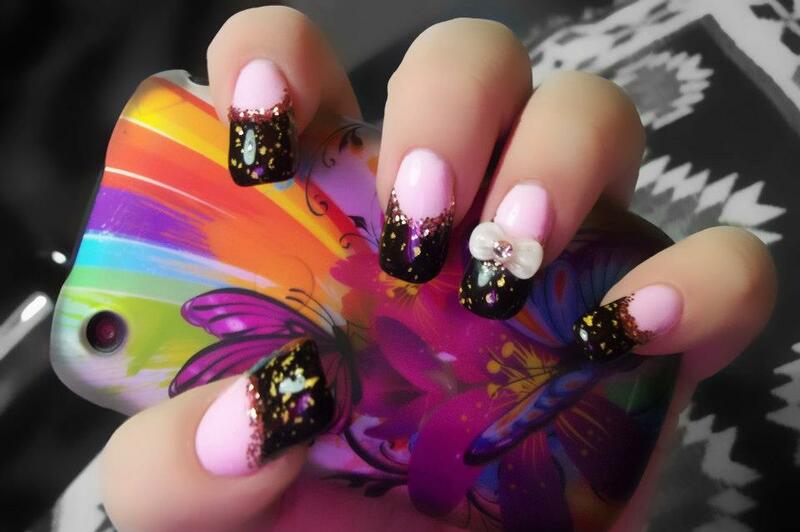 These nails range from basic and simple designs, too extreme 3D designs. There is a design for everyone, and requests can be made. Either, you can request a certain design, or if there is a design you like, but want different colors, that can be arranged for you. If interested, please contact me via email, phone or facebook, and we can set up a date and time! 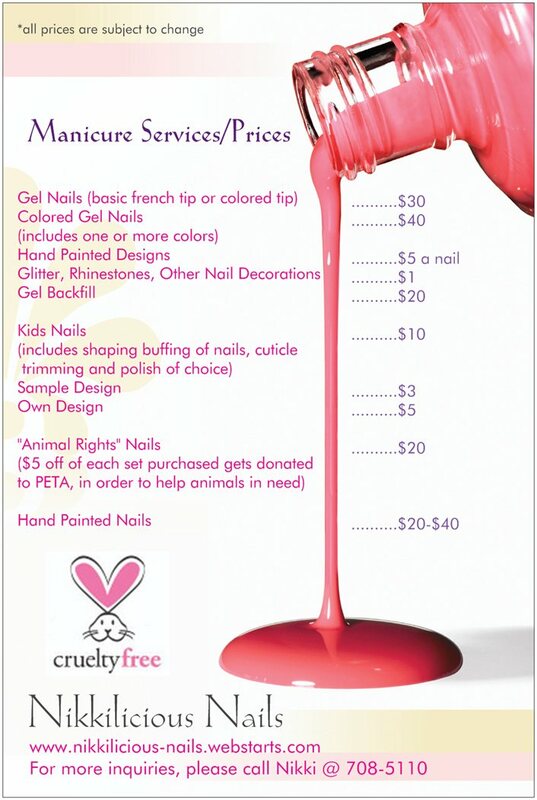 Nikkilicious Nails strives on being "Cruelty Free". 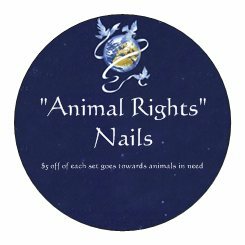 To help support animals in need, I am selling animal themed nails. Each set is $20, and $5 off of each set that's sold will be added up at the end of each month, and will be donated to PETA. 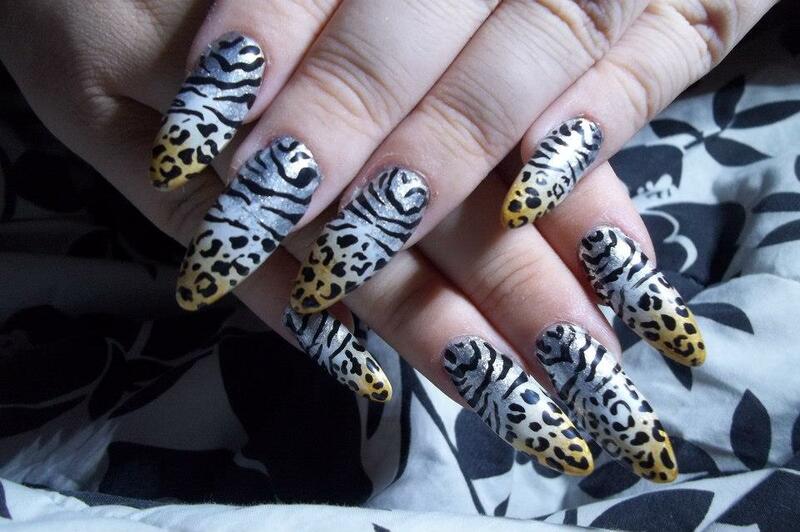 "Animal Rights" nails will be available to purchase on Febuary 1st 2013.